The initial launch the collection will include four jigsaw puzzles, each featuring a different Gorjuss artwork. 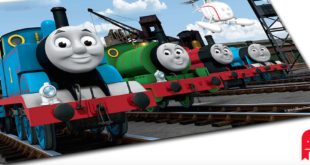 The new range will be available within the UK from January next year and will feature Jumbo’s popular foam puzzle formats. Available at the end of this month, the new range will include eight new puzzles and games. The puzzle and game specialist has signed with Bulldog Licensing for the popular CBeebies show. Products will hit retail across 2014 and 2015, with a range of shaped puzzles, playing cards and puzzle assortments.